Resource Person: Judith Mayotte, PhD. has taught at several universities including, most recently, The University of the Western Cape, Cape Town (South Africa). While she was a professor at Seattle University and Marquette University, Dr. Mayotte created two international service-learning programs, one being the Marquette University South Africa Service-Learning Program and the other Seattle University’s International Development Internship Program. She was invited to be the inaugural Desmond Tutu Distinguished Chair in Global Understanding on the Semester at Sea (UVA). She has also taught at Johns Hopkins School of Advanced International Studies in D.C. and the Salzburg Seminar. For a number of years she worked among and advocated on behalf of refugees and internally displaced civilians around the world. Currently she is involved in issues dealing with climate displacement. She has served on a number of Boards, among them: Refugees International, The Women’s Refugee Commission (Chair), Desmond Tutu Peace Foundation, The International Rescue Committee, Visionaries and Global Ethics and Religion Forum. In 1994, she was appointed by the first Clinton Administration to the U.S. Department of State’s Bureau of Population, Refugees and Migration as Special Adviser on refugee issues and policy. She is an Emmy Award-winning television producer and the author of Disposable People? : the Plight of Refugees (Orbis, 1993). 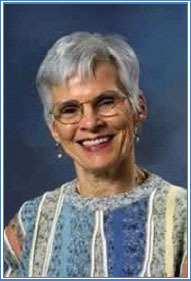 She has received several honorary degrees and awards for her humanitarian work. Tucker, Mary Evelyn and Grim, John. Editors, Thomas Berry: Selected Writings on the Earth Community (Maryknoll, NY: Orbis Books, 2014), Selections from Scripture. Bibliography: A more lengthy bibliography will be available during the program.